For many automotive enthusiasts, owning a classic car is a dream come true. It can take years to squirrel away enough funds to buy one and then it can take just as long to find the right car. And for many (my self included) the list of classic cars we would like to own is, well, as long as our arms. Which to be honest isn’t actually long enough. Not everyone wants a large collection and most are perfectly happy with having one little beauty parked in their garage. At the end of the day, it all boils down to money. Classic cars are still the hot ticket right about now with vast sums being poured into high end blue chip vehicles. And that has had a trickle down affect on the rest of the market. Which is what brings me to the Mercedes 190. Let me explain. We all know that only those with many millions can afford a rare Ferrari 250 SWB or a Mercedes Gullwing. If that’s a bit much then something like a Facel Vega could be acquired instead. But it will still cost you many hundreds of thousands. Stepping down a bit more you could aim for a Jaguar E-Type 2+2. But again for those on a budget, spending between £50,000 – £80,000 is just way out of their league. And that is why modern classics like the Mercedes 190 are worth a look. 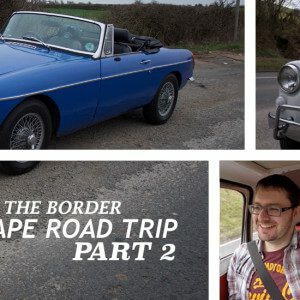 They have the potential to satisfy that classic car itch, but at a fraction of the cost of more popular, well established collectable classics. The Mercedes 190 has a certain presence that you come to expect from the German marque. 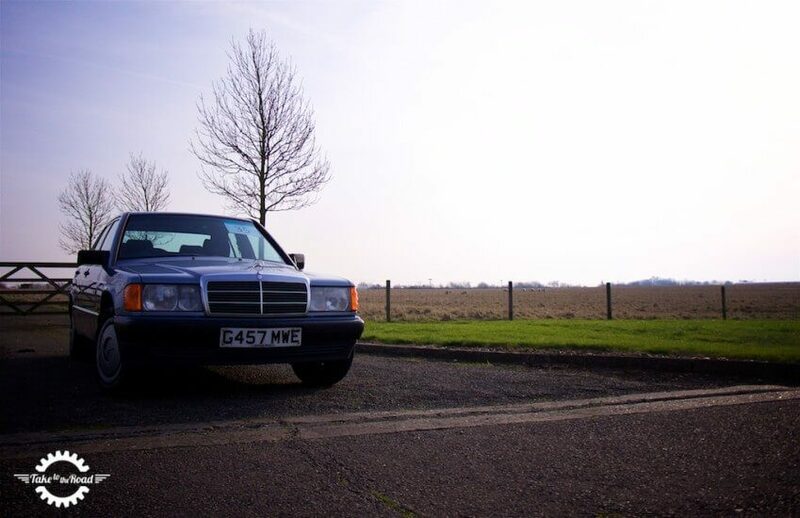 I will admit that stepping into the 1990 Diamond Blue 190 was a bit of a come down after driving the 1991 Mercedes 500 SL (watch my review film here). Both couldn’t have been further apart. The SL was an adrenaline rush that was also comfortable and very relaxing to drive. It was the pinnacle of the German marques engineering prowess at that time. The 190 on the other hand, was the Mercedes budget entry level executive saloon. It was the cheapest saloon you could buy from them. And it lacked the horsepower and the extras when compared to the SL. But as I mentioned in the film, it was a bit unfair to directly compare them. They were after all aimed at two completely different audiences. When reviewing the 500SL I mentioned how it offered an incredible amount of power and excitement for not a lot of money. I even dubbed it the “Bargain Barnstormer”. And it sold for £3,860 + premium. Pretty cheap for a 5.0ltr V8! But even for some paying over £4,000 for a classic is a bit too much. There are many young potential classic car owners out there who would love to get their hands on their first classic who only have £1,000 to spend… once you factor in tax and insurance. Which is what makes the Mercedes 190 an interesting choice for anyone looking for their first classic. The car I drove sold for £550 + premium at Classics Central Auctions on the 28th February. That was a very good price for a clean and straight 190. It had done just over 109,000 miles which wasn’t too bad for a 1990, it had a reasonable MOT history and it wasn’t rusty. Yes the 2.0ltr single carb fed engine wasn’t exactly spritely but with the four speed automatic, it was a nice car to cruise around in. It may have been budget executive saloon but you did get the auto box and the combination of the foot and arm rest were little details that go a long way to making things comfortable for the driver. It didn’t have electric windows but it did have an electric tilt and slide sunroof. A touch of luxury there. And like my former Jaguar XJ40, it had a mono wiper! Yet more luxury on offer! Another plus with this particular 190 was the Galaxy Blue cloth interior. It was very clean with minimal wear. Exactly what a first time classic car buyer is after. The MB-Tex cloth might not be to everyones tastes but it is tough and durable. You could even argue it is a bit retro. This may be an entry level 190 but it is still a well engineered Mercedes. As I drove around in the Mercedes 190, I admit I did keep thinking about the 500 SL. Perhaps I should have done it the other way around and driven the 190 first. That doesn’t mean I hated the saloon. Yes it could have done with a bit more power but to be brutally honest, it was a nice car for what it was. And that is a practical entry level modern classic that hadn’t been molested or abused. 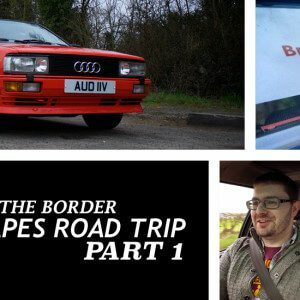 It wasn’t terribly exciting and there was no V8 roar, but it still had that Mercedes quality feel to it. The steering wheel, much like in the SL was effortless and added to the laid back feel of the drive. These days it is getting harder to find a clean example of the Mercedes entry level executive saloon. Most have stratospheric mileage and many more have rusted to the point of being uneconomical to repair. So this particular 190 was a nice tidy example and had clearly been looked after by its previous owners. Which is why now is the time to start snapping up a Mercedes 190. Values have fallen so low that there is no risk of them dropping any further. Yes many would prefer to the go for the fuel injected 190E or aim for the more powerful 2.3/2.5 litre engined cars. At the top of the pack, most collectors have already snapped up the 190 Cosworth with good examples now commanding over £15,000. And with values rising, they will eventually trickle down to the bottom end of the 190 range. 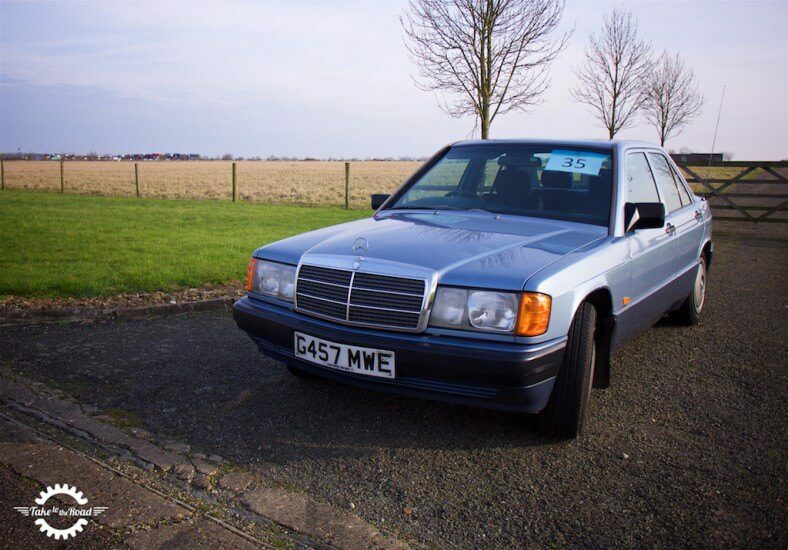 So is the Mercedes 190 a good choice as a bargain basement beginners classic? It most certainly is. Prefer your Mercedes to have a bit more power? Then check out Mercedes 500SL review.